Spring is a great time to visit Poznań. The city comes alive, everywhere is green and the cafe terraces are teeming with life. Poznań residents like spending time outdoors on the banks of the river Warta or on the shores of Lake Malta. Springtime also abounds in cultural events - a guarantee of great fun! Planning a trip to Poznań? Check out our list of 10 spring weekend ideas in Poznań. St Martin’s croissant is made from puff pastry and filled with white poppy-seed filling. Today, it is one of the most well-known Polish pastries, protected by a European certification allowing its production in accordance with strict guidelines in the Wielkopolska region only. The tradition of baking St Martin’s croissants goes back to the 19th century and is connected with the November 11th church fair at the St Martin’s parish. One of Poznań’s pastry makers, answering the call of the parish priest asking for donations for the poor, baked three giant trays of the croissants and brought them to the church. Soon, other pastry makers followed his suit and so a tradition was born which survives to this day. Each year on St Martin’s day alone (November 11th), Poznań residents and numerous tourists eat around 250 tons of croissants which is approximately 1.25 million pastries! Where can you learn the secrets of Poznań’s biggest culinary treasure - the St Martin’s croissant? Why, in Poznań Croissant Museum, of course! You can look forward to a live telling of the croissant history as well as baking them together with a quick lesson of the Poznań dialect. All of this in the interiors of a historic tenement house with a view of the Poznań billy goats. The croissant shows take place daily - we recommend booking in advance via phone or online. English language shows are usually on the weekends at 1.45pm. The Adam Mickiewicz University Botanical Garden is a place which will steal the heart of any plant and nature lover. A space of 22 hectares offers an impressive collection of over 7000 species and varieties of plans from nearly all climate-plant zones of the Earth. The rock garden (alpinarium) is among the Botanical Garden’s biggest attractions. The abundance of the collection and their presentation enable a deeper understanding of the characteristics of the alpine plants as well as some of the questions connected with the levels of climate and vegetation. The AMU Botanical Garden is not only vegetation - it is also many events and exhibitions. The garden regularly organizes interesting events such as a plant bazaar or various concerts. In the Education and Exhibition Centre there are periodic exhibitions relating to plants and nature. For more information about the current offer, visit the AMU Botanical Garden website. You simply cannot visit Poznań and miss out on a stroll down the Warta banks. For a few years now, the city has returned to the riverside. In season, a water tram operates on Warta. There are a number of city beaches where you can relax or play beach volleyball. You can also rent a kayak or dock your own boat at the riverside. On the weekends, there are the open-air cinema, various concerts and other noteworthy events. 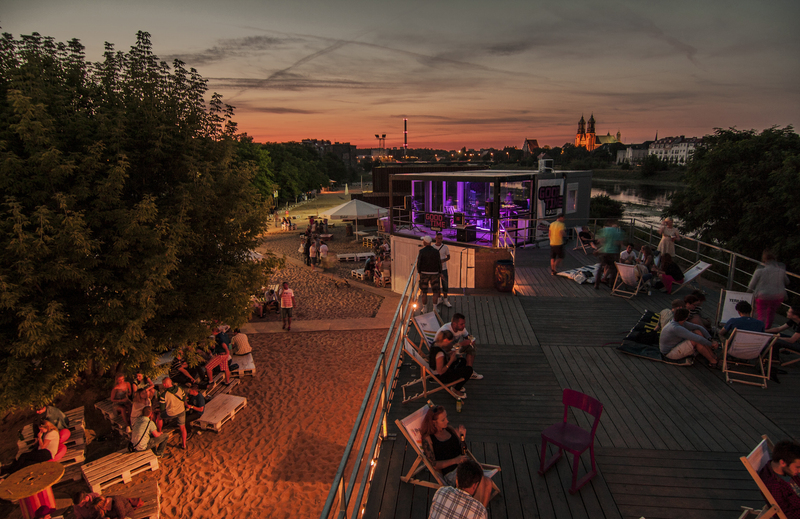 The iconic KontenerART is also on the river bank - an initiative of the artist community, created as a space for anyone and everyone with an interest in culture. Here, you can take part in various workshops, come see a gig or simply take the edge off, relaxing with friends and grab a nice bite to eat. For many Poznań residents, the spring weekends are an opportunity to wind down in a beach chair at KontenerART, weather allowing. The Warta area is also a favorite among cycling enthusiasts. The Wartostrada runs along the river in the city - thanks to this walking and cycling path you can safely enjoy the beauty of the surrounding landscape of the Warta valley. In a matter of minutes you can go from the bustle of the city into the green areas of Szeląg. Despite appearances, spring is a great time to visit a museum - it is the perfect hideaway from the spring rain and an opportunity to discover incredible collections amassed in Poznań’s many museums. The Museum of Applied Arts is one of many must-see stops. Located in the Przemysł Castle, it is a branch of the National Museum and the only museum in the country devoted entirely to applied arts. When visiting the Museum of Applied Arts, be sure to pop on over to the observation deck in the 43-meter-high castle tower with a stunning view of Poznań and its surrounding areas. The Archaeology Museum is a treat for enthusiasts of the ancient history. The permanent exhibition includes artefacts from Egypt, Sudan as well as the Wielkopolska area. In the museum courtyard there is an obelisk of Ramses the II - Poland’s only pharaonic obelisk and one of very few in Europe. The museum regularly changes their temporary exhibitions so do check their website for most current information. All throughout spring and summer (until September 30th, 2018) there is an exhibition taking you on a journey of the meanders of the Mesopotamian civilisation. Areas around Lake Malta is undoubtedly one of the favorites among Poznań residents. With good weather there is an abundance of cyclists, joggers, roller skaters and strollers - all of them sharing the very convenient paths around the lake. 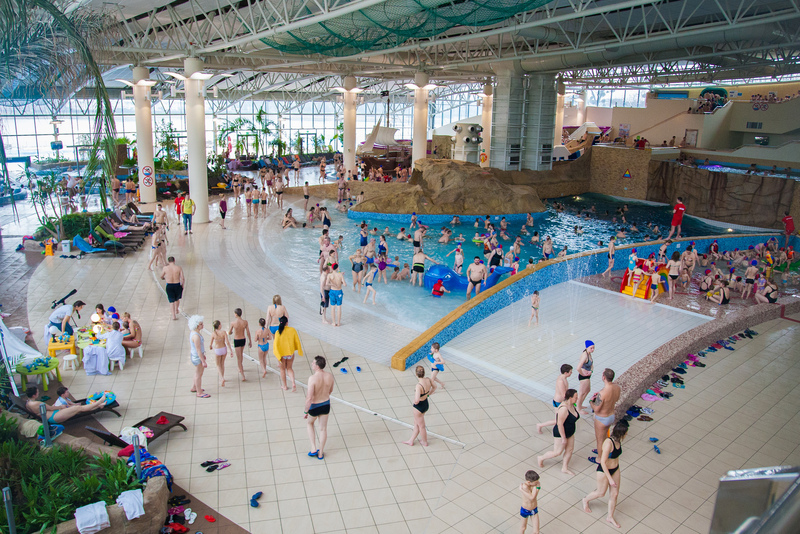 Lake Malta areas offer a wide variety of recreational attractions, the main of which is of course the Termy Maltańskie - Poland’s largest waterpark with 16 pools, 13 slides, a wild river and even a climbing wall with a water landing area. Termy Maltańskie also offer 4 outdoor pools, including two which are all-year-round. The pools guarantee relaxation with the fantastic view of Lake Malta. For those seeking even more rest there is a beach with 200 beach chairs and a spacious hot tub - all of this accompanied by relaxing background music. The Lake Malta area also has the sports and recreation center, Malta Ski - fun for the whole family guaranteed! 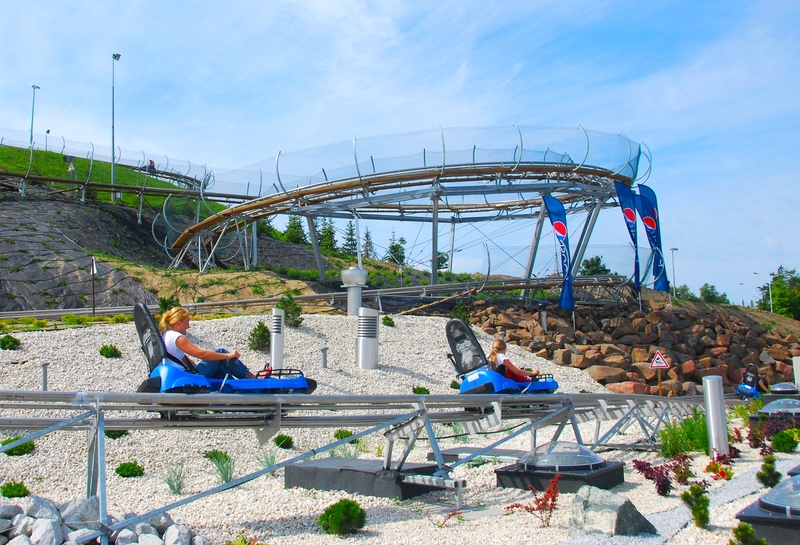 There is an all-year-round skiing slope, and in the summer - the toboggan run and the Adrenaline roller coaster. You can also spend an entire afternoon playing mini golf or learning the rules of road traffic in the Little Driver School, or use the bike rental, the playgrounds and the attractive food offer. Adrenaline junkies will simply love Pyrland Rope Park. Three courses with varied level of difficulty and a kiddie course for children make this place the ideal spot for a family afternoon! Hala Towarzyska (Social Hall) was created in 2017 and has been an emotional hot topic ever since. After its first season it has become a staple point in Poznań’s spring and summer calendar. It is difficult to imagine a weekend without a visit to Nocny Targ Towarzyski (the Night Social Market). Hala Towarzyska is located at Kolejowa 23 (in Poznań’s Łazarz district) in a former rolling stock hall. Its interior is crisscrossed with railway tracks which adds a very unique industrial feeling to the entire space. The founders of Hala Towarzyska name Asian markets, London’s Street Feast Model Market and Street Feast Hawker Market as well as Berlin’s Markthalle among their immediate inspirations. Hala Towarzyska operates on Thursdays, Fridays, Saturdays and Sundays - each day with a different theme. On Thursdays it is stand-up or summer cinema, on Fridays and Saturdays it is the Nocny Targ Towarzyski, a weekly festival of great food and awesome music. Between 6pm and 4am there are concerts, food trucks and over a dozen exhibitors. Sunday, the day of rest, is dedicated to Social Breakfasts from 10am to 8pm. The former Imperial Castle is the last and youngest monarchal settlement in Europe, built at the beginning of the 20th century for Emperor William the II. After World War I, the castle housed, among others, the Mathematical Department of Poznań University, whose graduates cracked the code of Enigma, the German cipher machine, in the 1930s. During World War II, the castle was completely rebuilt and made into the official quartier of Adolf Hitler. Today it is a cultural facility with many exhibitions, a cinema and a children’s animation theater. The castle can be visited during a guided tour (assebly in the Great Hall) which allows to see many interesting nooks and crannies, usually inaccessible to the general public, such as the original, five-ton throne of William the II. 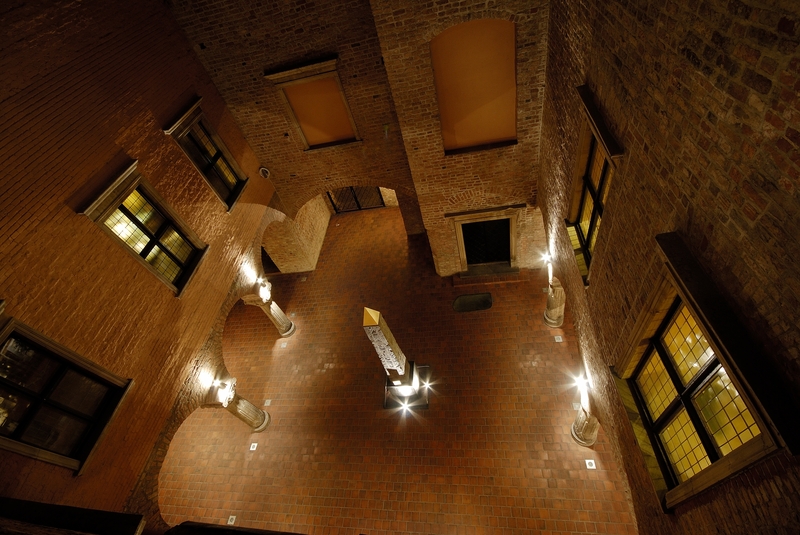 For more information on sightseeing dates, visit www.zamek.poznan.pl. It is also worth remembering that the cultural offer of Zamek Cultural Center includes many interesting events. There are regular exhibitions and various festivals. What is especially noteworthy this spring? May 21st to 26th there is the Festiwal Fabuły. World Press Photo exhibition can be seen until May 30th of this year. Another important event is definitely the Ethno Port Festival which takes place in the castle between June 7th and 10th. In the vaults of Poznań cathedral you can see relics of the first Polish cathedral from the 10th century, the tombs of the first Polish rulers, Mieszko the I and Bolesław I the Brave as well as a baptistery from 966. The former cathedral island of Ostrów Tumski is one of Poznań’s most charming areas. With the mighty cathedral dominating the surroundings, the picturesque church of the Blessed Virgin Mary, the cobblestone streets running along the former defense walls and the historic houses of the cathedral canons located in the gardens are a real enclave of peace and quiet where time seems to slow down just a little bit. 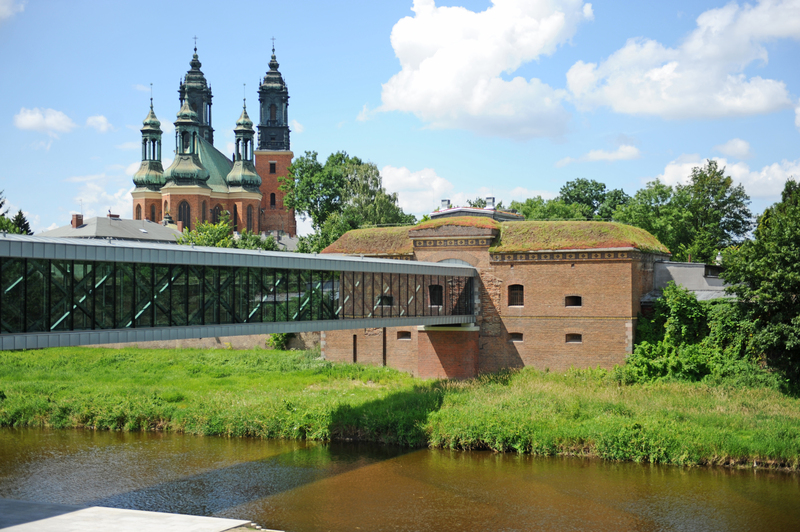 Another must-see point of Ostrów Tumski is the Archdiocese Museum (with the sword of St Peter, given to Mieszko the I in the 10th century by the Pope) located in the former Lubrański Academy, as well as the Genius Loci Archaeological Reserve. When visiting Ostrów Tumski, you cannot miss the Porta Posnania, an excellent addition to the walk around the area. Porta Posnania is the place telling the history of Ostrów Tumski, taking you into the everyday lives of people in the age of Mieszko the I and Bolesław I the Brave, as well as other residents of Ostrów. Thanks to many multimedia presentations, film screenings, interactive devices, mockups and visualisations, it is a journey back in time. The youngest history buffs can look forward to a dedicated program, based on games and activities. A definite must when strolling around the cathedral and Porta Posnania is Poznań’s Śródka district - a place of incredible gentrification in the recent years. There is the world-famous 3D mural as well as a multitude of restaurants and cafes which on spring evenings quickly fill up with locals. Spring weekends are all about bike trips and Poznań is a great place for this sort of leisure. Plenty of green areas, excellent network of cycle paths, many bike rentals - ideal conditions for bicycle lovers. Although most of Poznań is very bicycle friendly, it is very much worth it to get out of the immediate center and go for a ride around nature. Wartostrada, Poznań’s foot- and cycle path network, or the areas around Lake Malta are both excellent options. You can reach the citadel park with a bike, or choose the more demanding route to Lake Rusałka, leading via the charming Sołacki park. 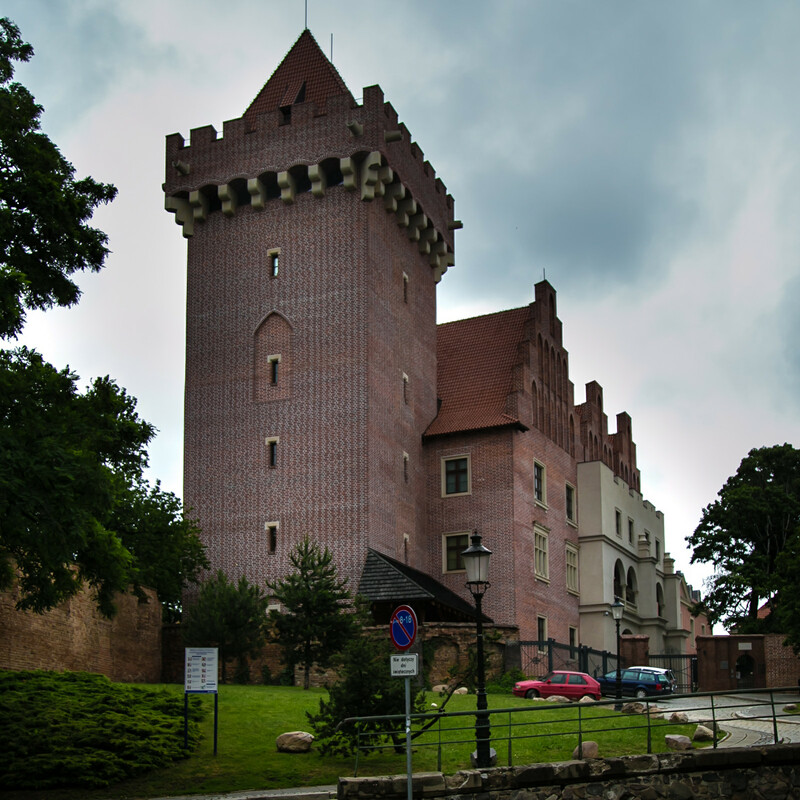 If Poznań is just not enough, take your trusted two-wheeler on a trip to the city’s immediate surroundings - Wielkopolski National Park or the castle in Kórnik. There are also a number of popular cycling routes via the Zielonka forest. Springtime is the perfect time to discover what Poznań has to offer food-wise as many cafes and restaurants offer outdoor seating. The food truck season also starts in the spring, and you can find them in many spots in the city. Poznań also has a multitude of ice cream parlors offering natural, traditional and organic ice cream to your heart’s content. Śródka is an obvious choice for foodies, with its famous Cafe La Ruina and other restaurants - Wspólny Stół or Hyćka. 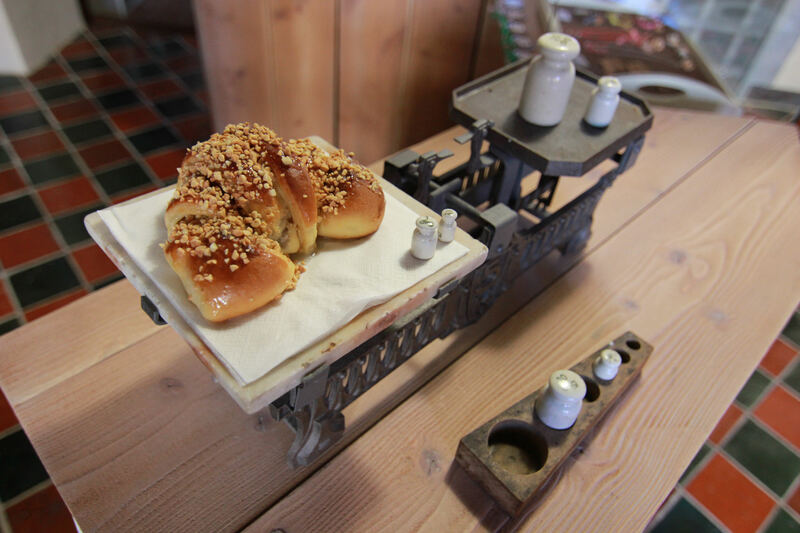 Be sure to pop in to Jeżyce, too, with great cuisine offered at Modra Kuchnia or Oskoma. In Kościelna Street you can sample ice cream from Poznań’s first ever traditional ice cream parlor - Wytwórnia Lodów Tradycyjnych. If you are all about street food and cool use of space, be sure to check out two locations: Hala Towarzyska and Food Hall Poznań, the latter being a brand new initiative created in the abandoned hall of Poznań’s former main train station. If you are seeking new foodie discoveries, check out the “EAT” section of our website.